Stunning Elevation costume. This costume is in excellent condition throughout. 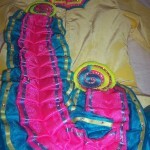 The main fabric is a bright yellow stretch velvet. 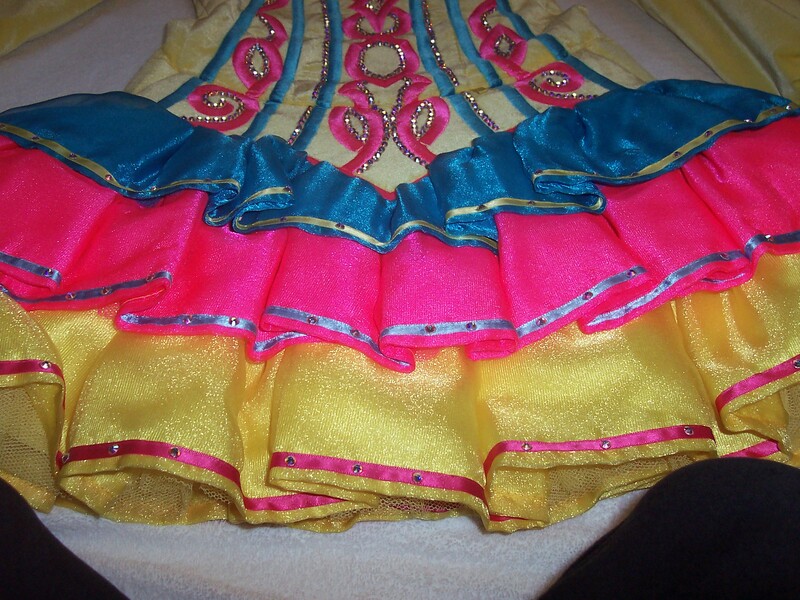 The costume features a soft 3 tier skirt in contrasting colours which dances beautifully. 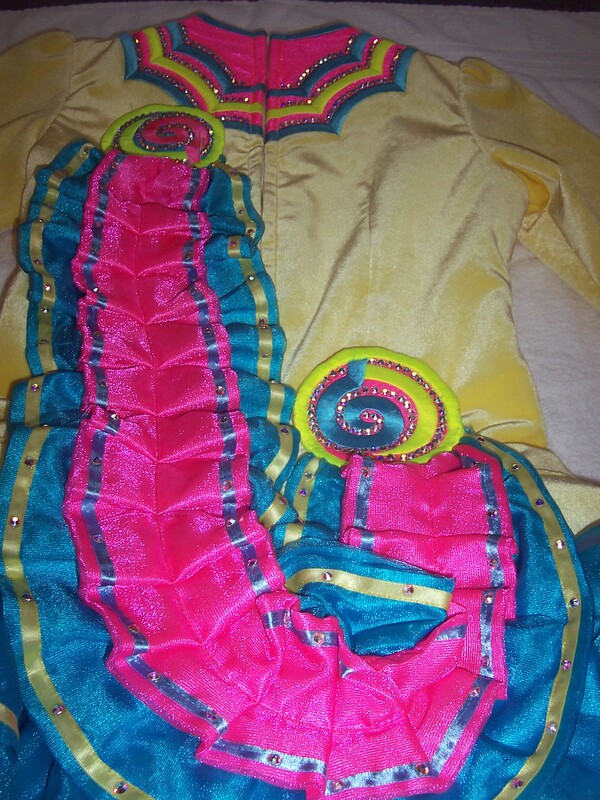 The embroidery and workmanship in this costume is of a very high standard. 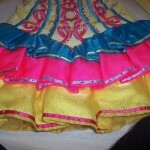 Costume is adorned with over a thousand genuine ss20 Swarovski crystals. Tiara and bloomers included. Additional photos available. Payment can be made through Paypal. Asking Price: €800 shipping included within Ireland, overseas shipping extra. Sale is final.